Does your computer shut down? Or, even worse, have you ever come across the dreaded Blue Screen of Death (BSOD)? Do you have problems configuring or troubleshooting your computer’s networks? Facing any system failure bugs? Is your computer horribly sluggish? Like any other machine, your computer will certainly function optimally and way better with consistent care as well as regular maintenance. At Geld Technologies we will get under your computer’s hood, get rid of the space-hungry temp files clogging your storage, and tidy up on its functionality. It does not stop there though. To bring your machine up to speed we will also update your computer’s existing software and uninstall the programs that are either not useful to you or are just unsafe for your computer and data. What does our PC tune-up service really involve? Well, we will fix the most common PC problems that any computer owner usually faces. For instance, frequent and annoying error messages, software that crash as well as driver problems are quite common. That is after the initial full diagnosis we will help you to do. One other main problem you might be facing with your computer is sluggish or slow performance. Fortunately, we have just the best ways and techniques to speed up your system and have it up and running in no time. Our highly skilled professionals will ensure that you return home without any of the problems you will come with. Owing to the fact that 90 percent of computer problems are mostly tied to software issues, we may not even need to physically touch your computer to be able to fix it or even diagnose the problem’s origin. After a successful diagnostic has been made our highly skilled technical experts will be able to completely resolve the problems in a just a few minutes. To optimize your computer’s storage, we will also clean up junk files which are usually the culprits of a system’s failure. Optimization of the windows registry will also be done through the removal of wrongly placed and orphan registry files. We also defragment your disk to ensure that your data is arranged in a contiguous way to ensure that these files are accessed faster. 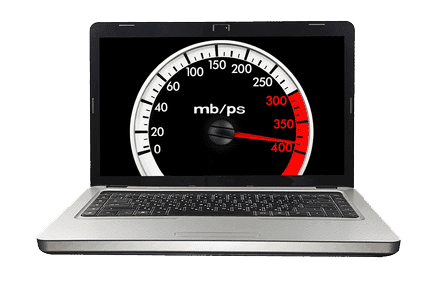 This is meant not only to speed up your computer but also to improve the integrity of your data. Another problem we will fix for you is the issue with prolonged startup for most computers which is caused by a number of programs that auto start when your computer boots up. We will remove these programs from your startup list and your computer will be able to boot up much faster. We will also fine-tune your computer’s operating system’s settings so that it works as best as it should. And the closing package, we will also give you tips to help you keep your computer running.